Mickey's blast into the past is shaping up to be a fun filled adventure as it emulates the original feel of the original Sega Genesis title. More Castle of Illusion footage is unlocked at E3 2013 which shows off some amateurish gameplay from the Toy Box of Peril level. While nothing's going to blow you away as the gameplay's look simplistic it's still looking fun in it's own right . 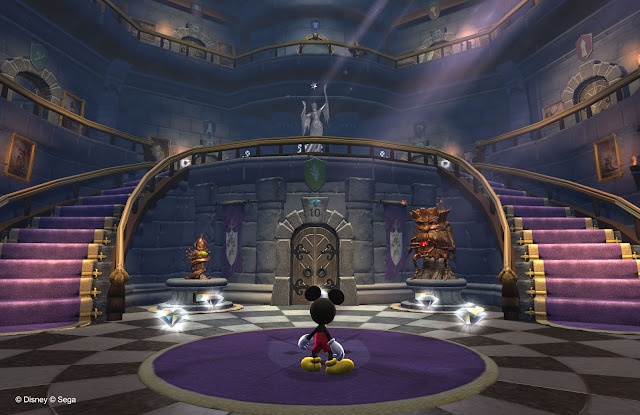 Check out the disney interactive magic below. I'm very﻿ excited for this. Especially since Grant Kirkhope is doing the soundtrack. Day﻿ one purchase, one of the greatest Genesis games of my youth.